No one understands the reality of living with HIV better than someone who experiences it every day. Peer Navigators - specially trained members of the community who are living with HIV - support others who are learning to cope with the daily challenges of living with HIV. Even though new treatments make HIV a manageable condition, people living with HIV still experience significant stigma and can be overwhelmed by all of the information presented to them as they become engaged in their health care. People that are newly diagnosed with HIV may have extra concerns from their diagnosis such as risk of transmission, disclosure concerns, treatment options and legal issues. By supporting people to address the broader determinants of health and supporting those who struggle to access or adhere to treatment we will ensure people receive the full benefit of health care and treatment to lead healthy lives. Body Positive initiated the peer support programme in Auckland in 2016, and is now extending the service to Wellington, Christchurch and Dunedin. We have aligned the rollout to match the locations of HIV specialists and will add other locations as the programs becomes established. 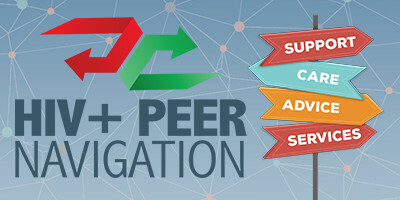 Peer Navigators give you someone to turn to who has already ‘been there’. Please visit https://www.bodypositive.org.nz/support for more information.